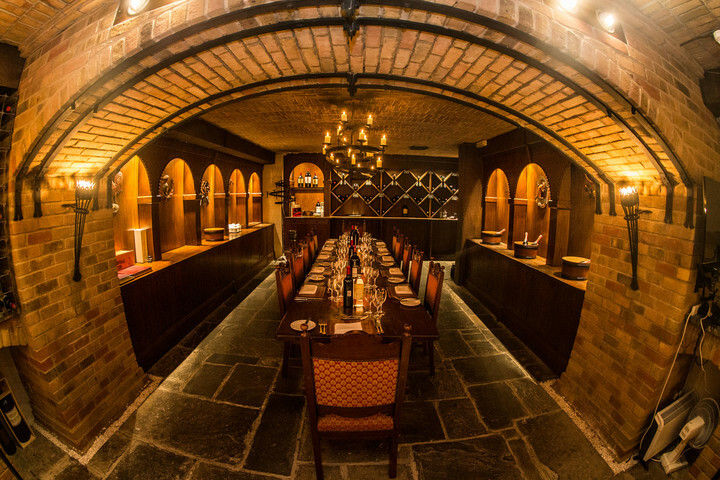 Who'd have known that nestled deep within the West Stand is Twickenham Stadium's best kept secret, the Twickenham Cellar. 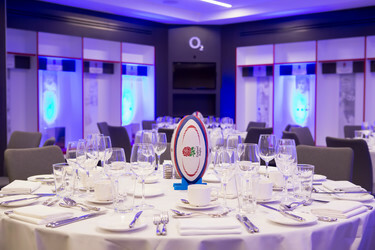 The room that was marked 'project X' on the construction plans is now Twickenham's most exclusive dining facility, seating up to 14 people for an unforgettable dining experience. This impressive suite boasts the finest in Twickenham Stadium's historical past. Used solely for dinners and perfect for a special birthday, anniversary or VIP business dinner. The menu, created by Executive Head Chef Matthew Davies offers a luxury seven course tasting menu designed using the best of seasonal ingredients and tailored to the client's taste. To accompany, a selection of fine wines are served throughout the evening with a champagne reception on arrival and tea, coffee and homemade truffles to wind down the end of the night.